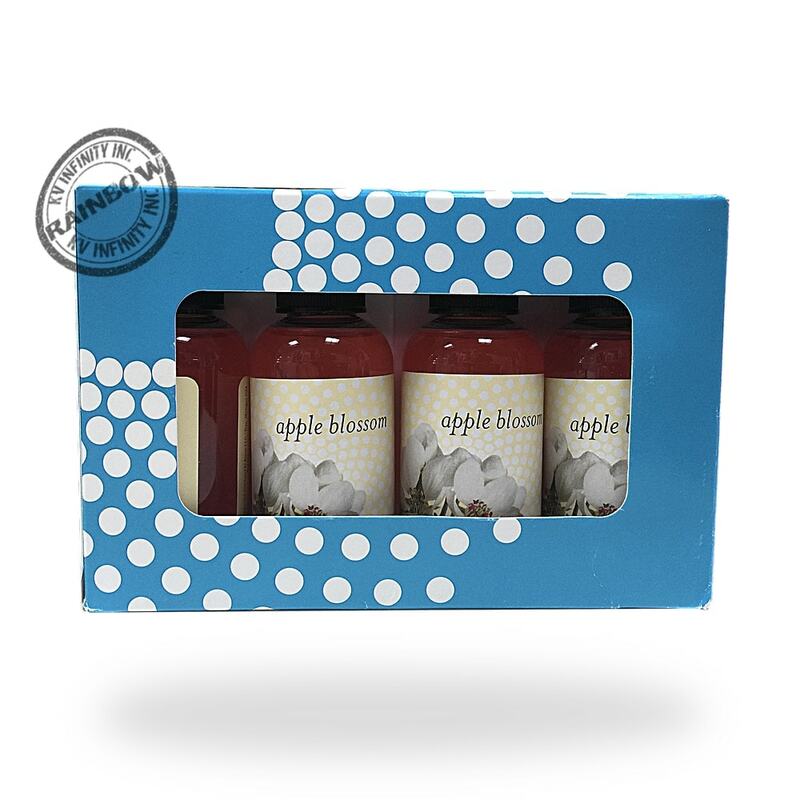 fragrance pack Apple Blossom. Original Rainbow Vacuum scent. pack of four (4) Apple Blossom bottles, 2fl oz / 59ml. safe to use in your Rainbow or Rainmate. This pack normally last about one month in a daily use rate. 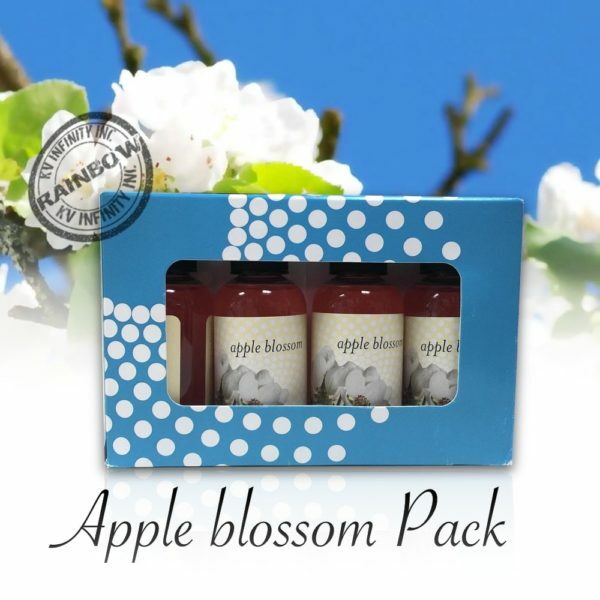 fragrance pack Apple Blossom. Original Rainbow Vacuum scent. pack of four (4) Apple Blossom bottles, 2fl oz / 59ml. safe to use in your Rainbow or Rainmate. The Original Rainbow Vacuum Apple Blossom oil scents, safe for use in your Rainbow and Rainmate. perfect for any season of the year! The Apple Blossom fragrance have a soft apple scent, just a couple drops can last for hours. Add the scent drops into the Rainbow water basin or Rainmate. a pack of Apple Blossom normally last for about one month. 4 Apple Blossom bottles 2fl oz / 59ml.